We made the sad decision to put our dog, Speedy, down today. After watching him deteriorate for the past few months, we knew it was time. His hair was falling out, his skin was en-flamed, his legs shook, and he whimpered at night in an effort to get comfortable. Speedy was 15 & 1/2 years old, and the last of what I call our “fur baby family before we had a human family”. I could write so much about what I have learned through loving my dogs and cats. Dogs are especially unique in their love for their human companions, and I believe that they are a special kind of gift to this world. They keep our secrets, comfort our sadness, and protect us with vicious loyalty. If only we could treat each other the way our dogs do, perhaps there would be less gossip, less grief, and less victimization in the world. After listening to them process their impending loss, I realized that their words brought great comfort to me. It was a difficult day, but the vision of Heaven that the kids put in my mind infused my thoughts. In Heaven, there will be great joy, and the grandest of reunions. In Heaven, sickness and frailness, and all of the things that make us physically and emotionally ill, will be gone. In Heaven, we will rejoice with our Heavenly Father. Today was one of remembrance of the sweet little puppy that bounced his way into our lives. It was one of commemoration about the many years he greeted us at the door, slept next to my feet, and gave us moments of laughter. I was also reminded that the years may seem long, but time with each other, truly is short. It was also a day of a grand envisioning of what Heaven will be like, and of the blessed assurance of Eternal life. Thank you, Lord, for gifting me with Your wisdom and promises through the soft-spoken words of my children. Pssst…Hey momma-in-waiting. Yes, you…. You held your breath when the doctor walked in. You lost his words after you heard, “I’m afraid I have some bad news…” In that moment, you felt the weight of the world collapse onto your shoulders. Your body went limp. You became numb. You had to shake yourself back out of the stupor you were in. You were told that you would never carry a child in your womb, but what you thought was…. You’ve gotten good at faking that shy smile when others ask how you are doing. You’ve gotten even better at letting others think you are just fine. “Fine”….that word is meaningless in your world, except for the fact that you are not fine. That word has become the mask you wear. Inside that mask though, you are devastated. You are trying to keep it all together. You are pretending to be okay with the news, so much so, that even those closest to you cannot hear the grief-stricken song your soul is singing. Pssst…Hey momma-in-waiting. Yes, you….You carry on, and pretty soon days turn to weeks, weeks turn to months, and now, it has been years since you walked into the desert. Out of courtesy, you join in with others while they celebrate the new arrivals of precious ones into their lives. You are on the sidelines, sitting on the bench, and waiting…waiting to be the one who is celebrating a life with children. You feel shame for your jealousy; and yet, you cannot help it. You feel embarrassment for those long, tearful drive homes after baby showers. You are exhausted from crying yourself to sleep. You cannot be comforted, and, you don’t want to be. You don’t look forward to opening up birth announcements because you know that with each tear of the envelope, a little more of your heart is being torn. It pains you to buy the gifts, wrap them with a pretty bow, and walk through the doors to greet the one who is carrying what you cannot. Anger sits by your side. It has become your friend, but it doesn’t serve you, it doesn’t care about you, and it doesn’t fix your problem. You are a jilted daughter. You have been robbed of the very thing you want more than anything. You are thinking…. Pssst…Hey momma-in-waiting. Yes, you….Your life is different from what you thought. There is great silence in your world. The longing you feel is so deep that it feels as if it will consume you at any moment. Your child, your baby, your dream….has vanished. You think about your baby. You visualize him. He has your eyes, daddy’s chin, he is perfect, and he is wonderful. He was perfect….He was wonderful….He was yours. You feel haunted by a child who will never be born. Pssst… Hey momma-in-waiting. Yes, you… You who have longed for years to have and to hold a child of your own, only to be told that it will not, it cannot, ever happen. Your walk in this world feels heavy. You know there are multitudes of others out there going through the same thing, but you feel like the loneliest person in the world. You read the brochures about adoption that are sent to you, and you listen to the advice of others…but…you know this is a battle all to your own. You are a soldier fighting in an army of one. Has anyone ever told you that it is okay to feel the way you do? Has anyone told you that they too would be grieving if in your shoes? Has anyone ever given you a true glimpse of hope for the future? Pssst…Hey momma-in-waiting. Yes, you…The One who created you sat by you when the floor fell out from under your feet while in the doctor’s office. The One who created you sees your half-hearted attempt to be happy for others. He holds your hand when you walk into baby showers, He reads the announcements with you, and He catches the tears that tire out your weakened body. He is in the silence. He is right there with you,very step of the way, as you meander around with infertility as your shadow. The One who created you hears the song of your grief-stricken soul. He sees the baby you dream about. He knows the baby you dream about. He is creating the baby you dream about. Pssst….Hey momma-in-waiting. Yes, you….Don’t give up. Don’t give in. You are weak from your battle, but the One who created you is standing firm. He did not forsake you as He hung on the cross, and He will not forsake you now. You are thirsty walking through this desert, but He is there to quench your thirst. You feel devoid of life, but He is life. Has anyone ever told you that there is great worth in the wait? Soon, yes, soon…the wait will be just a memory, the pain will perish, and your soul’s song will be one of joy. Pssst….Hey momma-in-waiting. Yes, you….Lift your head and dry your eyes. Soon, yes, soon….You will no longer be a momma-in-waiting. You will be a mother. Recently in the community I live in, there has been several tragic situations that have led to the deaths of children. One toddler passed away following a valiant fight against cancer. His family’s faith and their bold witness of it is extremely humbling. Yesterday, two mothers buried their children at the same time. All three siblings, their father, and a family friend died in a plane crash just minutes away from the local airport. Just this weekend, I learned of a former classmate whose 18-year-old son passed away suddenly. My heart feels so much sadness for these mothers. I cannot imagine the despair they are going through. I have known the pain and the notable silence of a life without children that my barrenness once caused. But now that I am a mother, I cannot even wrap my head around going from sitting in a home that used to be filled with the chatter of a teenager engaging in an energetic conversation, a television in the background blasting a video game, or the imaginative sound effects children make when they play, to sitting in that same home that is now silent. I cannot fathom what it must feel like to walk into a home that once housed children with great dreams, loving embraces, and inquisitive yearnings about life, that now houses empty spaces, thick tears, precious (yet painful) memories, wounded hearts, and sorrowful aches. Sometimes I long for just one moment of complete silence in the home or the car. 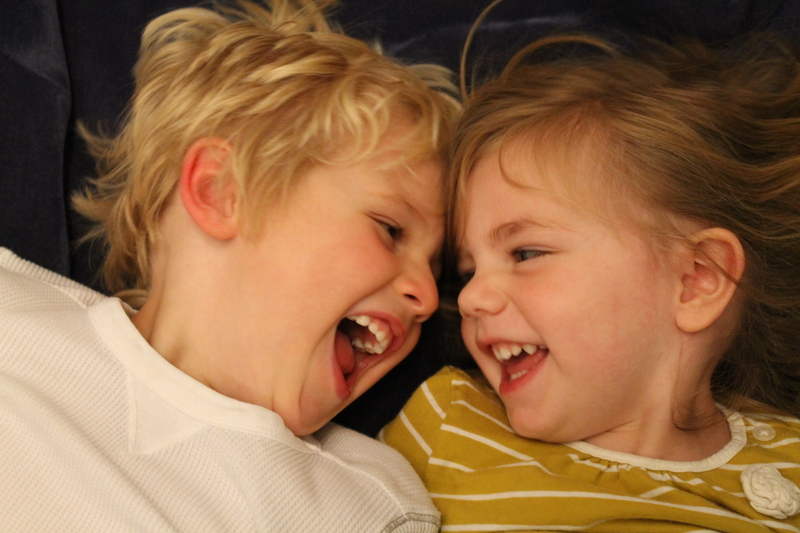 Sometimes I wished my little ones could dial down the volume a bit; or at least, maybe not like the sound of their own voices quite as much as they do. These recent tragedies in my community have helped me to keep it all in perspective though. I will take the squeals, the laughter, the “I’m gonna tell mommy”, the fights, the cries, and the constant chatter. I will take the background noise of a television that is too loud, or the bang of a drum from a little boy who thinks he is rock star. I will take the non-stop questions of soon-to-be 4-year-old who still thinks it is never too early to get out of bed in the morning, or implores for her questions to be answered. Actually, I am not just gonna take it. I am going to embrace it. I am going to remember the gift of noise. I am going to be grateful for my Heavenly Father who has given it all to me. I am going to embrace the noise. I remember the day of September 11th when time seemed to freeze on the image of those two proud, tall, and shining buildings crumbling to the ground. I remember the image of people running with anguish on their faces and their bodies covered in ash. I remember people begging for their loved ones to be found. I remember wondering how humans could have so much hatred in their hearts that they would choose death over life. I remember the day of September 11th. But…it is the day after September 11th that I remember as well. I remember waking up, running to the television, and desperately hoping for a little good news. I remember praying and pleading that more survivors were found over night. I remember laying on the couch in a fetal position sobbing over the strangers whose lives were gone, feeling the heart-break for the families, and knowing that life would never be the same. I remember getting ready for work, hopping in my car, and driving as if in a quiet trance. Going to work after such a tragedy did not even seem right. I was in graduate school full-time while working part-time at a pizza cafe, so asking people if they wanted cheese on their salad, pepperoni on their pizza, or a refill of their drinks seemed so trivial compared to the visions blasted on every television screen around. I remember being annoyed by a group of ladies who seemed to be completely oblivious to what had just occurred. They were laughing, telling stories…you know….just having a “girls’ lunch” while the rest of the folks in the restaurant spoke in hush, softened voices. I wondered if they were purposefully ignoring the news or if they did not see how that fateful day affected everyone. Out of my own ignorance or false sense of security, or whatever it is one might call it, I never really thought an attack would happen to us. But, it did. I also knew that it was now just a matter of time before we would be headed off to war. To be honest, this broke my heart and scared me a little as well. Yes, I remember the day after September 11th. I’ve been thinking a lot lately about the girl I was before my hysterectomy. My surgery was not just another one chalked up in the history of who I am. It was a life-changing event. It was something that tarnished my rose-colored glasses view of the world. I had not been a stranger to the hospital or illnesses before. At age two, I underwent an emergency appendectomy. At age seven, intestinal adhesions caused a blockage calling for another emergency surgery. But, the hysterectomy was a far more intense and dire experience. This surgery affected everyone around me. It was not just about recovery. It was more than that. It was a game changer. My parent’s lives were instantly changed by it. My life, of course, was too. Don’t get me wrong, I enjoyed life. There was still laughter, new experiences, and friendships. But, after the surgery, sadness stowed itself away in me unbeknownst to many people. Prior to this surgery, I was a dancer. By the time I was eleven, I had danced for eight years. 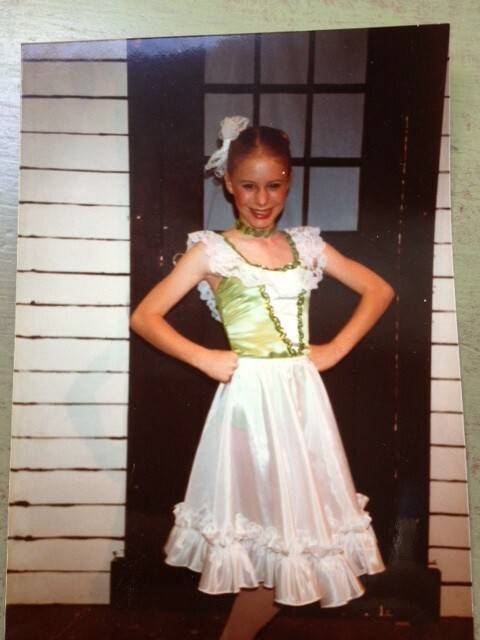 I danced competitively and dreamt of performing on Broadway. My ultimate goal was to be a choreographer. However, something changed in me following the surgery. My body did not move the same way. It took more effort. My muscles had been emaciated from the infection and, to be honest, my spirit had been dampened by it as well. Within a few years after my recovery, I quit dancing. I don’t know why really. My dance teacher told me many years later that she believed if the surgery would have never happened, I could have been a professional dancer. She too thought that it changed my body’s ability to move and nearly wiped me clean of the strength I once had. So, here I am now at age forty still thinking of the days I danced. I’ve decided to write a poem to the little girl I once was whose dreams of dancing went to the wayside. I know that when my walk on this Earth has ended, I will be dancing before the Lord. Dance away, little dancer. Dance before His throne. Dance for all the pain you have once known. No longer taste the salt in your tears. Feel the movement taking away all of your fears. Dance your life into a story, and let it be all for His glory. Point your toes with every ounce of grace. See the expression of love on His face. Dance away, little dancer. The one who longed to know the answer. The answer to why that fateful time came. The longing for a life that would never be the same. Your life interrupted with no fault of your own. In a single moment, your life’s tapestry was sewn. Welcome home, little dancer. For now, you know the answer. His love is your melody. Dance your praise for eternity. You’ve danced your life into a story. And, it all has been for His glory.